If you’re new to the world of managing websites, then it’s easy to become overwhelmed by the number of available choices of hosting providers. You’re probably looking for reliability and speed at a price that won’t break the bank. Particularly if your WordPress site is just getting off the ground, you’ll want to find the best WordPress hosting companies that use a shared server model. A dedicated server will just be too costly and is overkill for the vast majority of sites. Because Google includes website loading speed as one of its ranking factors, you’ll definitely want to team up with a quality host for WordPress sites. Putting up with an inferior provider could affect your search performance and therefore have a negative impact on your site’s success. Some of the other factors to consider when choosing whom to partner with include customer support, the ability to upgrade as your site grows and any ease-of-use features that come standard with your hosting account. There are hundreds of shared WordPress hosting providers, and trying to evaluate them all is a Herculean task that could take days. Fortunately, we’ve done all the legwork for you and are happy to present you with our choices for the top five best WordPress hosting firms. 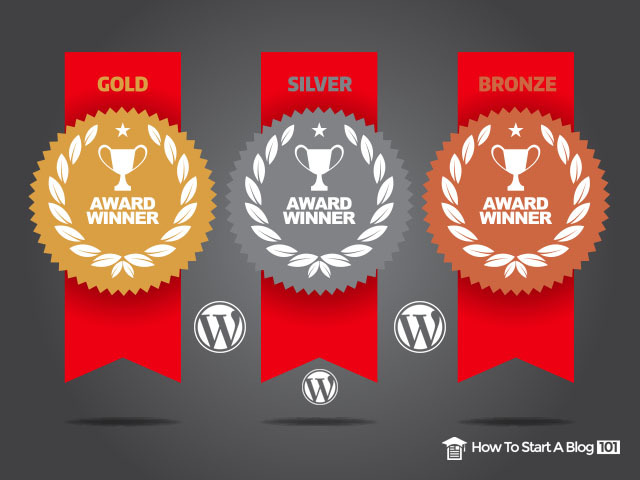 Select any one of these options as your WordPress hosting solution, and you’ll be starting your web adventures off on the right foot. They each have their own particular strengths, so we’ll let you know about each business separately. Then you’ll have the knowledge you need to make a sensible decision. InMotion has been in operation since 2001, and it has been certified by CNET for 13 straight years. You can trust that the team at InMotion knows how to properly run hosting services, and it may not be a coincidence that the company is employee-owned and -operated. Your web pages will be hosted on sold-state drives in InMotion’s server centers. Unlike old-school mechanical drives that spin around, this newer technology doesn’t have any moving parts. This allows them to serve up your content much faster, pleasing your visitors and the Googlebots alike. As your site grows, and you wish to extend your capabilities, you’ll find that the well-rounded software available through InMotion will assist you in taking your site to the next level. The BoldGrid plug in is provided at no cost to every customer of InMotion Hosting. Now you won’t have to worry about editing HTML or CSS to get the look and feel that you want. Users report that the fastest responses come from calling the support telephone number. However, this isn’t always practical, so it’s nice to have numerous other ways of getting questions answered and problems addressed. The introductory Launch program at InMotion normally costs $6.29 per month for a 12-month plan with discounts for paying for two or three years in advance. But anyone signing up through our link here at howtostartablog101.com is entitled to a special rate of 56% off! We know how difficult it is to get a new site up and running, so we’ve negotiated this exclusive deal to make everything go more smoothly for you. Under the terms of Launch, you can run two websites and two MySQL and Postgres databases with unlimited disk space and monthly transfers. The Power and Pro products cost more but remove some of the restrictions that apply to Launch. SiteGround got its start in 2004 in a Bulgarian university dorm room, but don’t let this dissuade you. Over the years, it has expanded to the point that the company now employs more than 400 and hosts more than half a million domains. This hosting provider maintains servers in four locales: Chicago, London, Amsterdam and Singapore. You can specify in which city you want your sites to be hosted. The management team at SiteGround is extremely concerned about keeping its users safe. The firm employs an in-house DevOps team to customize its server software and make sure it stays up-to-date to counter the latest threats. SiteGround boasts about its anti-hack systems, SPAM-fighting solutions, unique account isolation protocols and free, daily backups of website files. SiteGround’s CS agents are standing by to help you 24/7 by email, support ticket and telephone. They pride themselves on quick responses and on being willing to answer questions that aren’t directly related to their hosting platform, such as queries about embedding videos and WordPress plug-ins. BlueHost has been in the web hosting game since 2003 although founder Matt Heaton operated earlier internet hosts as far back as 1996. It has since been acquired by Endurance International Group, a behemoth in the field. 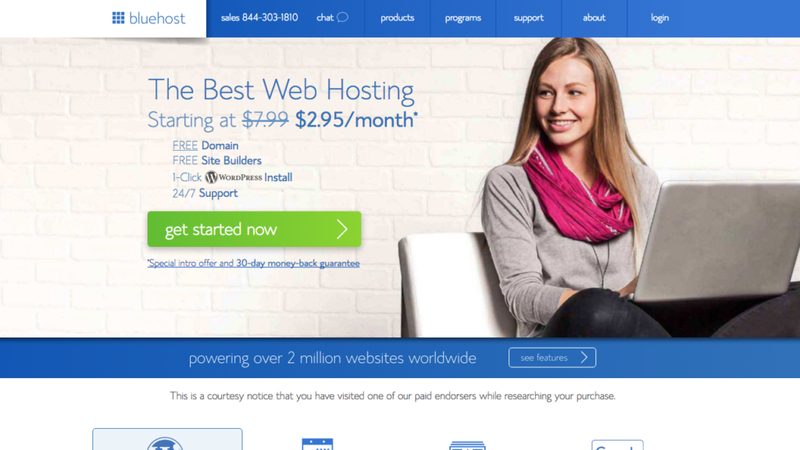 Bluehost is one of the most popular hosting companies around, powering more than 2 million websites. When you host your website with BlueHost, you’ll have to be careful about purchasing things you don’t need. This company is known to be tricky in trying to entice you to spring for optional add-ons and extra features. Still, as long as you read all terms carefully and don’t click on anything that you’re not sure about, you should be OK.
Support options are limited at BlueHost and consist only of live chat and telephone support. However, there’s a dedicated phone number to call specifically if your issue is related to WordPress, which can be quite handy if you’re trying to troubleshoot a difficult WordPress snafu. 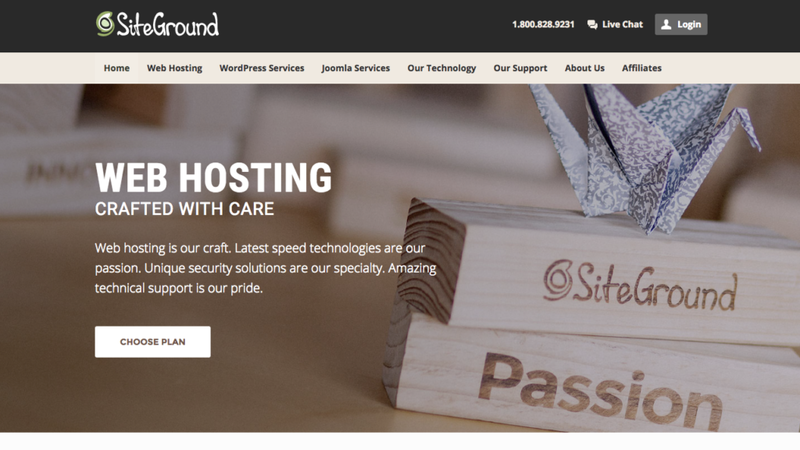 This makes BlueHost one of the best WordPress hosting enterprises in existence. 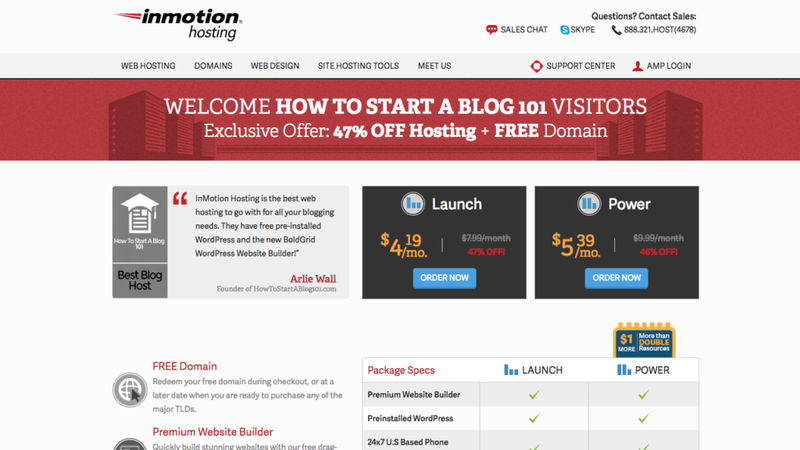 For just $2.95 a month, you can sign up for BlueHost’s basic WordPress hosting solution. The plus option is only $4.45 per month and the “top-of-the-line” prime package will only set you back $7.95. At the basic level, you’ll be restricted to only a single website with 50 GB of storage space. WebHostingHub is a sister company of InMotion Hosting, so you’ll get the same rapid website loading times, plethora of customer service options and one-click installation of more than 300 different applications. WebHostingHub seems to have begun operations in 2010. The two companies are so similar that perhaps it’s best to give an overview of what makes them different. For one thing, the lowest Spark level of service costs $4.99 per month, but you’ll only get $75 in free advertising credits as opposed to the $250 that InMotion provides. In addition, data backups cost an additional $1 per month. Weirdly, you can have up to 10 databases rather than just the two that InMotion allows you with its most inexpensive service option. HostGator is a well-renowned presence in the web hosting space with more than 9 million domains on its servers. The company was started in 2002 by a Florida college student and is an example of a tech start-up that made good on its initial promise. HostGator promises to use cloud servers, sophisticated caching techniques and content delivery networks to get your blogs and other web pages to your users up to 2.5 times faster than normal. It’s tough to evaluate these claims on their face value, but they at least indicate that the organization is aware of the importance of website speed. You can watch video tutorials about many aspects of HostGator’s hosting solution or go to the user forums to try to get an answer. In addition, you can create a support ticket, call the support department by telephone or use the live chat feature on the website. You can get started at HostGator for just $5.95 per month with the Starter Plan. This includes just a single site with 50 GB of storage space plus another 1 GB for backups. The middle-of-the-road Standard Plan is $7.95 per month while the top-tier Business Plan runs $9.95 a month. Now that you’ve perused our summary of the best WordPress hosting firms on the internet today, you’ll be in great shape whenever you decide to launch a new site. The providers we’ve outlined above offer shared hosting at quite reasonable prices. Even if you try out a host for WordPress sites and wind up not liking it, you can always cancel your service without having spent too much. Remember that there’s no substitute for experience, so choose a web hosting partner today, and find out for yourself how good or bad the service is. Get The Latest Tips & Tricks On Blogging Via Email Today! Quickly learn the best plugins for your new blog. Get the latest tips on how to get more traffic. Learn different ways to make money off your new blog. Social Media Marketing Tips:Essential Advice, Hints etc. » Hurry! It’s a Limited Period Offer!